The one and only, vibrating fitness ball. 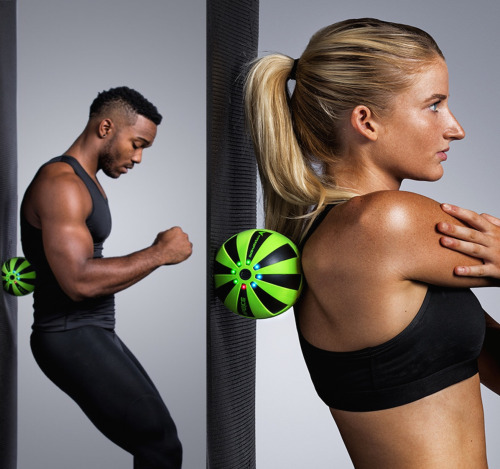 The HYPERSPHERE is the perfect recovery equipment for athletes and sports enthusiast on the go! Keeping the body’s soft tissue (muscles, tendons, ligaments, fascia) loose is essential for maintaining flexibility and range of motion. While soft tissue balls can help the body stay loose, adding vibration with the intensity and frequency of The HYPERSPHERE takes the whole experience to another level. The HYPERSPHERE has been used by the world’s best athletes to warm up and recover from training and competition. It can be used by anyone who wants to move better. “Performing functional upper body movements while balancing on a single leg with the HYPERSPHERE creates instability and forces the bodies balance (proprioceptive) mechanism and core stabilizers to activate. This enhances joint stability and overall neuromuscular control, and thereby can reduce injuries, optimize performance, and speed recovery”. I recently took part in FNB Whines2Whales, the 3-day stage race from Somerset West to Hermanus. My full Race report to follow, but for more info about the Sido-1 I rode for W2W, read my post here. I was lucky enough to take the HYPERSPHERE with me on race weekend. To me personally, the HYPERSPHERE is exactly what one would need for any stage race! The HYPERSPHERE is small, compact and very efficient, so easy to pack. The battery is re-chargeable and this will usually be a concern, because of limited electricity points on these stage races. However, I fully charged the HYPERSPHERE just before we left for the weekend, and to give you an idea. I used the HYPERSPHERE at the end of every day after being on the bike for +5hours. Each session included about 30 minutes of stretching and simultaneously rolling out my muscles, especially upper thighs with the HYPERSPHERE on Level 2. The remaining battery power was more than 70% after the weekend. The HYPERSPHERE has 3 different intensity levels; Level 1 being subtle, yet powerful. Whereas Level 3 is very intense and good for those big muscles surfaces and it will give you a proper deep tissue massage. The HYPERSPHERE is truly a magnificent little piece of equipment to assist in recovery when you need to recover quickly! The vibrating assists with blood flow, which then assists with muscle recovery. Get in touch with Hyperice today to order your own HYPERSPHERE! The HYPERSPHERE is an essential piece of equipment for localized soft tissue therapy for areas like Back | Hips | Glutes | Shoulders | Feet | Hamstrings, and more! Disclaimer: This is my own personal views and not promoted or endorsed by any brand. However, this is a product review and this equipment in this post was sponsored. Next: Next post: Make your own homemade Gnocchi!